Once they are purchased, most audio engineers don’t think much about microphone preamps. However, mic preamps are a crucial link in the audio chain. The device’s main job is to keep input noise to a minimum and to amplify the microphone without distortion. But there is far more to it than that. The output level of microphones is very low and requires amplification to bring it up to line level. That’s the key role of a mic preamp. By being the first amplification stage of the microphone signal, the mic preamp is essential to getting a good sound. It is also key to shaping the signature sound of any audio recording. Choosing a poor quality mic preamp means it will be much harder to overcome its limitations. Choosing the right one makes processing sound much easier. 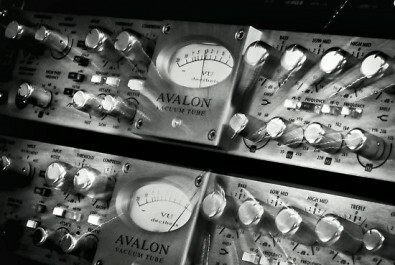 However, what are the differences between average preamps and better ones? Vintage King, the pro audio dealer based in Nashville and Los Angeles, offers a guide on the differences between mic preamps. It notes there are three main varieties of preamps, based on how they amplify the signal. 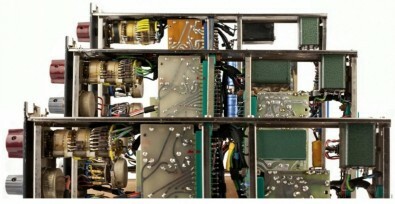 These amps are made up of tubes, transistors or integrated circuits. Each type imparts a different sound. Three preamp designs. Click to enlarge. The granddaddy of preamplifier design, Vintage King, wrote [preamp design] is based around vacuum tubes, or valves. Until the advent of transistors, tubes were the only game in town. After falling out of favor due to size, weight and cost, vacuum tubes have made a resurgence. There are now many models to choose from. Vacuum tube mic preamps, like all tube gear, are known for their warmth, which is a result of the even-order harmonic distortion they create. Tube preamps are a good choice when the desire is to soften the signal a bit, especially before going into a digital audio workstation (DAW). With the advent of transistors in the 1960s, just about every part of the audio signal chain was affected. Transistors do the work of tubes, but with much less size, heat and cost. The earliest designs were “discrete,” meaning all components were placed individually on a circuit board or hard-wired together (often by hand-soldering). Many of the classic mic preamp designs were discrete transistor types. Known for their punchy sound and accurate reproduction, discrete transistor designs remain a favorite today. The integrated circuit (IC) is exactly what it sounds like: a circuit where all the components are put together on a single board. Modern ICs, like in a personal computer, can have billions of transistors. They made the circuitry components even smaller and more powerful. However, many sound engineers feel the benefits are outweighed by the loss of “color,” as ICs tend to be accurate to the point of being sterile. There is certainly a place for them in modern designs, but at the crucial preamp stage, most engineers still prefer a discrete design. These three types of preamps have their basic amplification function determined by the type of component. But this is far from the whole story when it comes to preamps. The next major contributor to the sound is the transformer, or lack thereof. Transformers are also called X-formers, or trafos. Mic preamps can be transformer-coupled on the input and/or output, or they can be transformer-less. Which is better? There is no correct answer. What is beyond question is that transformers alter the sound, and impart a certain color (a pleasant word for distortion). The design of transformers is almost as much an art as a science. Generally, no two manufacturers’ transformers will sound alike. Rupert Neve’s classic designs all incorporated transformers, and he has long been a vocal proponent of their use. Transformers are used in a preamp design to isolate the signal from RF interference, provide for lower input noise and allow for a higher maximum signal before overload. Transformers impart some color, however slight. A transformer-less preamp will be more accurate, due to the absence of distortion, but will also sound more clinical. When looking for full transparency and desiring to add color later, a transformer-less preamp is the way to go. The next thing to consider when searching for the right mic preamp is the type of amplifier used. Whether run by tubes or transistors, with transformers or not, there are two main types of mic preamplifiers: Class A and Class A/B (Class B is not generally used for mic preamps). Since the heat associated with power generation is the main drawback of a Class A amp, and since preamps generate very little power, most preamps will be Class A. The term Class A amp refers only to the design – not the components or quality – not whether it hand-wired or done by automated machinery. It simply means the amplifier is always “on,” in the sense that current is constantly available to it. A Class B amplifier splits the waveform into two halves, with a pair of amps working on each half. This makes it more efficient than Class A, but also provides for distortion where the two halves cross the zero point of the waveform. Since this is undesirable, some designs compromise and take the best aspects of each type to create a Class A/B amplifier. In this scenario, the amplifier’s two devices work in an on/off cycle to reproduce more than half the waveform, say 181 to 200 degrees, depending on design. This greatly reduces (or eliminates) the point where both amplifiers are “off,” thus reducing the possible distortion. As a bonus, it will also operate more efficiently than a Class A amp. AES RPQ2 Mic Preamp. Click to enlarge. Another consideration with microphone preamplifiers is impedance matching, a subject that has engineers on all sides of the issue. All microphones have an operating impedance, a measurement of their resistance to current. Many mic preamps will have a high fixed impedance, to allow for a wide range of mic impedance on their input. But several designs are available that allow for a choice of a few different impedance settings, or even a continuously variable impedance within limits. It’s important to remember that exact impedance matching is not a necessity in modern amplifier design. An exact match is only necessary when trying to achieve optimum power transfer. But in this scenario, what’s more important is audio fidelity via voltage transfer, and not power transfer. So lower impedance mics can certainly be output to higher impedance mic pre inputs without a problem. The point of providing various impedance choices is all about tonal color. The sound of a given microphone, as well as the frequency response, will change based on the preamp input impedance, in ways ranging from subtle to obvious. The outcome will also depend on whether the microphone itself has an output transformer or not, and whether it’s a dynamic, ribbon or condenser. Older ribbon mics (and some modern transformer-less types) often operate with 50 ohms impedance, and can benefit from a mic preamp that can go below the typical 1500 or 2K Ohm resistance. This typical range for mic preamps is based on the rule of thumb that the input impedance of the preamp should be about 10 times the microphone’s source impedance to increase the signal-to-noise ratio. Since most mics have an output impedance of 150-200 Ohms, the typical mic preamp is set to this range. But, as with everything, one can also break the rules. By giving the user options, multi-impedance mic preamps allow creative choices to be made in regards to the timbre of the incoming signal. Thus, the choice of impedance becomes another creative tool in the box of the audio engineer. Microphone preamps come in a wide range of shapes, sizes and formats. They range from 19-inch rack mount units to 500 Series format modules. They can also be in channel strips or desktop stand along units. Whichever one chooses, match the microphone and the preamp to get your desired sound. This is where the sonic equivalent of the artist’s paintbrush comes in. The mic-preamp combo is the key to shaping a signature sound.